Page Street Publishing, 9781624145810, 176pp. 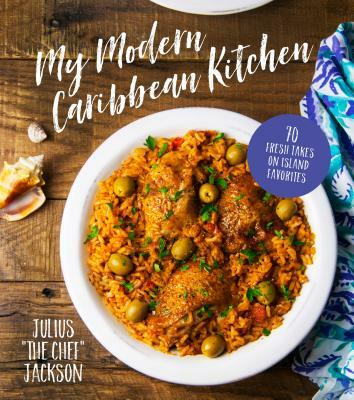 In this exciting collection, Julius Jackson takes the dishes he grew up with and applies his own culinary fair so you can craft home-cooked meals bursting with the distinct spices and tasty ingredients the Caribbean is known for. Fantastic, tropical favor is easy to achieve—start the day of with Island-Style Farina for a classic Caribbean morning. No-Mess Curry Chicken is an easy meal that packs a tasty punch, and One-Pot Wonder Chicken and Rice is a crowd pleaser. Tangy Creole Fish is crisp and fresh, while Panfried Plantains can be enjoyed anytime throughout the day. Infused with Julius’s experiences of island life, these recipes are the perfect blend of traditional cuisine, unexpected twists and unforgettable favor. Julius Jackson is a professional chef, professional boxer and Olympian who was born and raised in the US Virgin Islands. He is manager and head chef of My Brother’s Workshop Bakery and Café, partner in USVI Catering and creator of “The Chef’s Cooking Lab” culinary experience. Julius has made appearances on Showtime, Food Network, the Cooking Channel and Telemundo. He lives in St. Thomas, US Virgin Islands.